Zipit Wireless is an IoT (Internet of Things) company specializing in critical messaging solutions for healthcare, EMS services, hospitality, manufacturing, and for government agencies and schools. Zipit Wireless began marketing products and services in 2004 with their Zipit Wireless Messenger™ which received rave reviews from The Chicago Tribune and The New York Times. This Enterprise Critical Messaging Solution™ remains one of their most celebrated technologies. Since then, the company has expanded and branched into the IoT market, delivering partnered products such as their Bushnell Trail Cam HD. 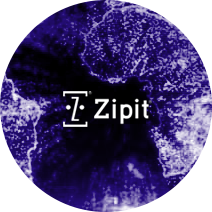 For the last decade, Zipit has developed best-in-class, network-connected devices that are remotely managed through cloud-based web portals or mobile apps. Recently, Frank Greer, CEO of Zipit Wireless, reached out to the Kopis team for help creating a new Order Management system that better met their needs. They were using Quickbooks and Salesforce for accounting and sales and then using Excel for their order entry and reporting system. They found that none of these tools was a good fit for their backend reporting, especially as they had no way to easily measure important metrics like customer churn. Another issue with the system that Zipit was using was the time that it took to create monthly reports. Kopis partnered with Frank and his team to develop a backend reporting system and a front-end order entry system that would be easy for anyone to use from anywhere. We wanted to help them develop one system that would do everything they needed it to do and nothing more. A simple, reliable order entry and more efficient reporting were the only needs they had. In this case, an existing product would have required them to change their process to match the product, rather than the other way around. Zipit Wireless also didn’t want to tackle the problem internally because they didn’t want to take their development team’s focus away from creating and launching new products and solving problems for their service partners. They felt their resources were already consumed with the business of doing their business. “Anytime my team has to deal with an internal software problem, customer service suffers, productivity suffers, and that’s not a good thing,” said Frank. After figuring out how Zipit employees work and which reporting metrics are the most important to the company, Kopis developed one system that included both a better front-end order entry system and a better backend reporting tool. The front-end order entry system is web-based, meaning that anyone in the company can access it from anywhere, and well-defined, minimizing errors. The backend reporting system is more robust, including multiple capabilities that Zipit didn’t have before. However, the biggest benefit, by far, has been the time savings.